This 5k event will benefit the Renovation House and the fight against addiction. 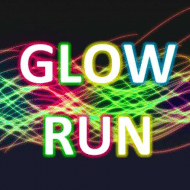 The race will kick off at 8pm so make sure you wear your glow gear and bring a flashlight or headlamp. Registration will start at 6pm with a ceremony before the race to kick off the night. Get your free glow t-shirt and bring your glow accessories!! The first 100 signed up are guaranteed a shirt. After that, race shirts are not guaranteed.